By making a donation or purchasing Roxy Gear, you help comfort and support the children of our community. Bucks County Happening List Finalist for Author! Be Like Bud is a 2019 Bucks County Happening List Finalsite for author! "My sister is raising her 6-year-old granddaughter, and I gave her the Be Like Bud book for Christmas. She sleeps with it every night, knows every single dog by name and even has her favorites. If your goal with this book was to touch children who have faced adversity in their young lives, that mission was accomplished with my great niece." Apparel, gifts & goodies for you or a friend. Make a donation and get one of these pups or give it as a gift. 100% of proceeds benefit Roxy & children in our community. 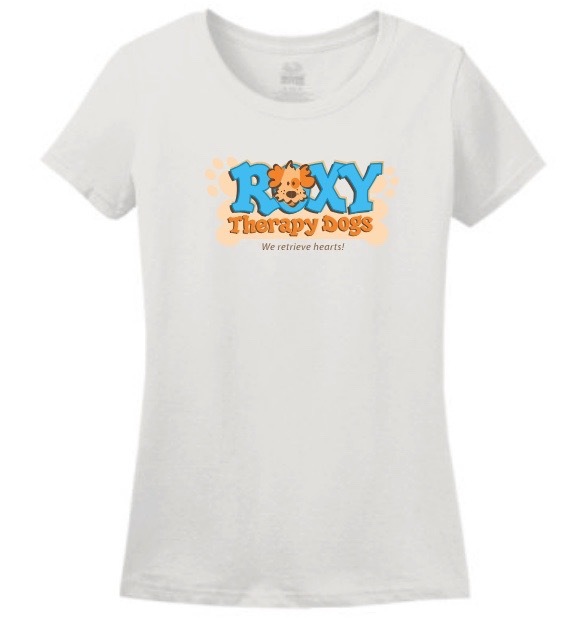 Make a $5-10 donation in support of Roxy™ Therapy Dogs and receive an Itty Bitty Boo as a special thank-you gift! GUND modeled these miniature plush dogs after Boo, The World’s Cutest Dog, the wildly popular Pomeranian internet sensation who’s been turning heads and wagging tails with his signature short haircut and bubbly outlook on life. The Itty Bitty Boo line features collectible plush toys dressed in adorable outfits. Make a $5 donation in support of Roxy Therapy Dogs and receive Baby Gund Fluffey Dog Rattle in Pink as a thank-you gift! Baby Gund Pink Fluffey Dog is part of the GUND Soft Toys collection. This puppy has embroidered eyes and is very soft to the touch. Babies get very attached to this sweet little puppy during sleep time. The soft stuffed puppy also has a rattle in its body. Make a $10 donation in support of Roxy Therapy Dogs and receive Buddy as a special thank-you gift! Buddy the Pomeranian plush toy by Gund has an amazingly lifelike appearance and is incredibly soft and cuddly. Based on the internet sensation, Boo the Pomeranian’s best friend, Buddy, he is here for you to love and hug for years to come! Winner of the 2014 Toby Industry Choice Award-Friends, Teddy Bear and Friends Magazine. Make a $5 donation in support of Roxy Therapy Dogs and receive the Talkiez Dog as a special thank-you gift! The Talkiez Stuffed Dog with Sound by GUND is a cute and cuddly plush puppy that barks at the push of a button. With stubby limbs and a plump body, it is almost impossible not to give this adorable dog a squeeze every time that you see it.